Discover new flavours and enjoy healthier choices on a regular basis, with personalised graze boxes delivered to your door. Stock up on your favourite graze snacks with your pick of over 200 delicious creations in multipacks and sharing bags. Did you know graze snacks are sold in stores too? Grab our retail range at your local supermarket for a delicious on-the-go boost. Can I choose my graze snacks? When you sign up for a graze subscription you’ll be able to set your taste & dietary preferences, which helps us handpick the right snacks for you. If you would prefer to choose your own snacks, you can browse our full range at graze.com/shop. How much does graze cost? Our prices vary depending on the services and products you choose. A graze subscription starts at $14.99 per box or you can order the snacks you want at graze.com/shop where products start from $3.99. How often is my graze box delivered? 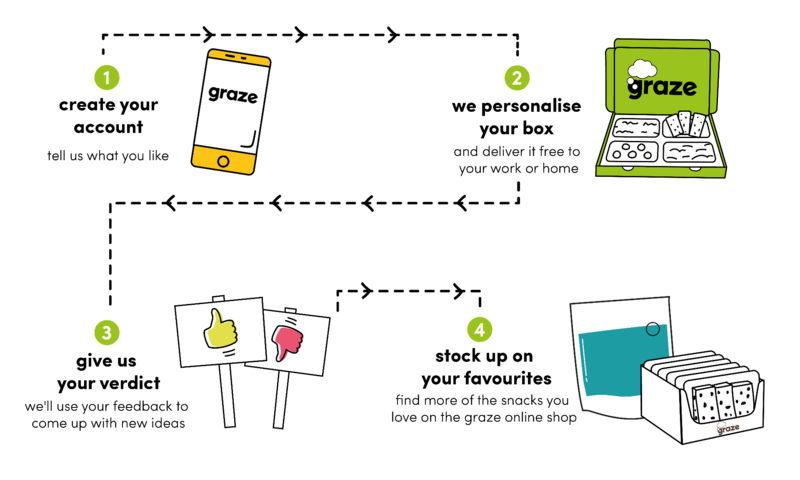 How often your graze snacks are delivered is up to you. You can choose to have twice weekly, weekly or fortnightly deliveries of your graze subscription box or even snooze your box if you are going on holiday. How do I get a free graze box? 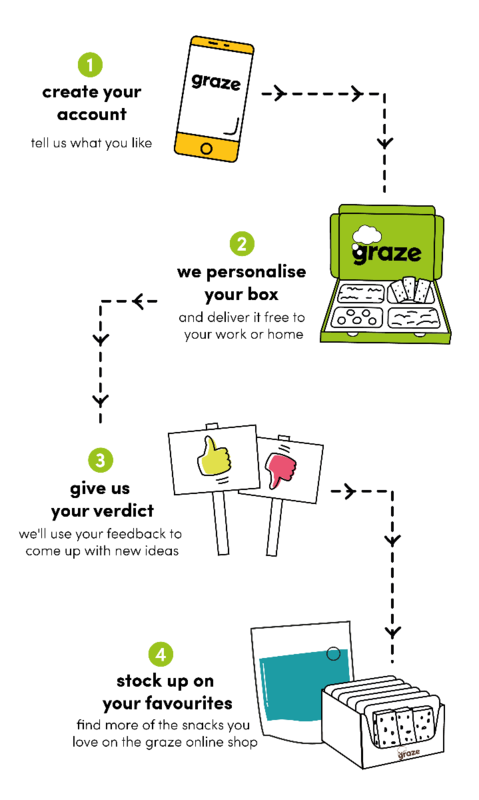 There are a few ways to get a free graze box. Look out for special promotional codes on all of our ads, perfect for new customers wanting to give graze a try. Already a customer? Keep an eye out for exclusive discounts and deals in your inbox, and follow us on social media for the chance to win free graze snacks. Imagine having taste experts on hand to select snacks for you! 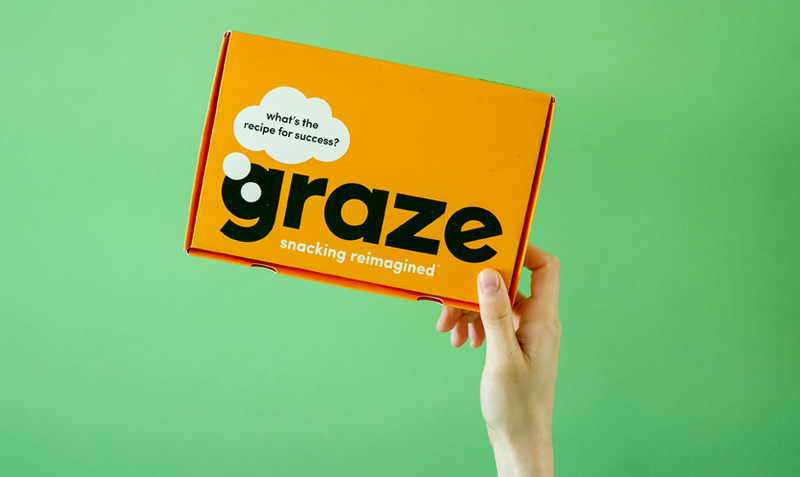 With a graze subscription you'll do exactly that, all you have to do is tell us what you like and we'll tailor the flavours of each box to suit you. Discover new flavours and enjoy healthier choices on a regular basis, with personalized graze boxes delivered to your door.